The apartment is located in the residence Nardis in Via Vallesinella n. 10 in Madonna di Campiglio, 280 m far from SPINALE ski lift. It is on 1st floor with lift and has 1 sitting room with double sofa bed, 1 bedrooms with 2 single beds, kitchen, bathroom with shower and balcony. It has capacity for 4 people. 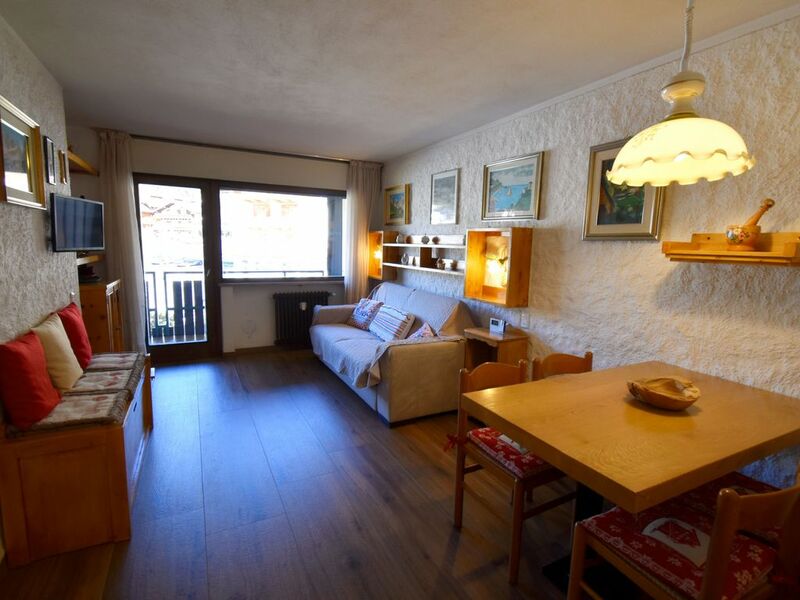 The apartment is 50 m² large and is situated near to the lake and the centre of Madonna di Campiglio. The accommodation is equipped with the following items: lift, balcony, central heating, garage in the same building, TV. In the kitchen, refrigerator, dishes/cutlery, kitchen utensils and coffee machine are provided.